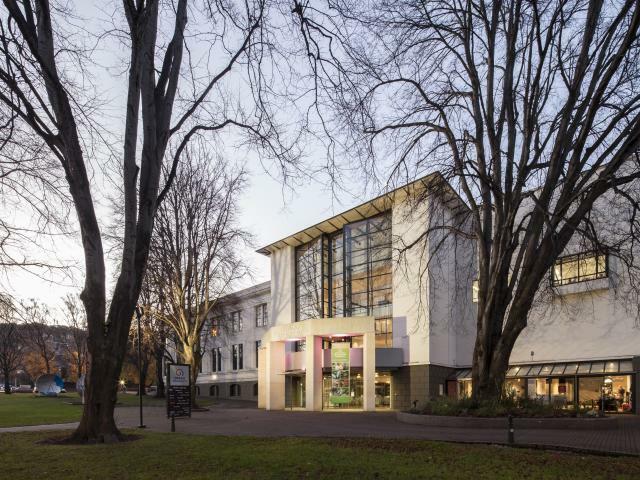 Otago Museum works closely with Otago University and is located on the border of the university’s campus. It is considered one of the best museums in Australasia and has a wide range of noted exhibits including an interactive science centre which opened in 1991. 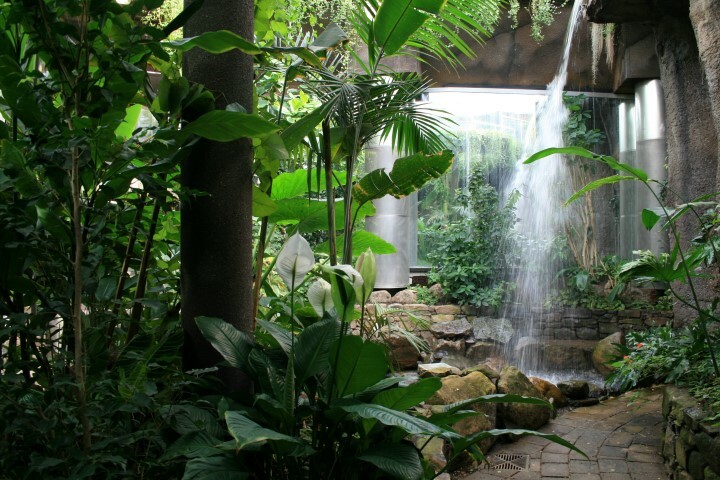 The Tropical Forest, an immersive butterfly rainforest environment featuring the flora and fauna of the tropics, opened as a major addition to the science centre in 2007. Discovery World Tropical Forest has become an important visitor attraction in its own right attracting around 80,000 visitors a year since it opened. A planetarium was a further addition to the science centre in 2015. The museum worked closely with the Ministry of Agriculture and Fisheries who licensed the Butterfly House as a containment facility. This is quite an achievement in New Zealand, where extremely strict regulations are in place to protect the country’s plants and animals. Each step in the development of this major attraction was carefully considered. Re-creating a tropical forest, complete with lush plants including orchids, bromeliads, coffee, ginger, banana, cardamon and passionfruit plants, was quite a challenge in the cool climate of southern New Zealand. New butterflies arrive every week from suppliers in Costa Rica and the Philippines. The caterpillars are reared in shade houses and trees. When they turn to pupae, they are boxed and sent to the museum. Once the box arrives every week the Butterfly House staff undertake the complex operation of preparing and laying out the 1000 layered pupae. This includes identifying the various varieties that have been sent to them. In fact, each pupa is checked by hand to ensure the future butterfly has survived the trip to Dunedin. 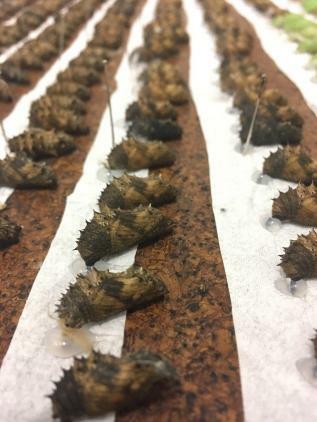 The pupa is then carefully pinned upside down and evenly spaced onto a board to allow the easy hatching of each butterfly into the tropical world created in Dunedin for them. Today, over sixty species are in residence at the Butterfly House. Trained staff constantly monitors the pupae housed in recesses in the walls of the facility. (These are glass fronted for the visitor to observe). Every day, they release the hatchings into their man made paradise. Depending on the species, they are expected to live from just a few days to over two months. Along with hundreds of butterflies, dozens of fish, numerous birds, turtles, and a few spiders (behind glass) also inhabit Dunedin’s Tropical Forest.